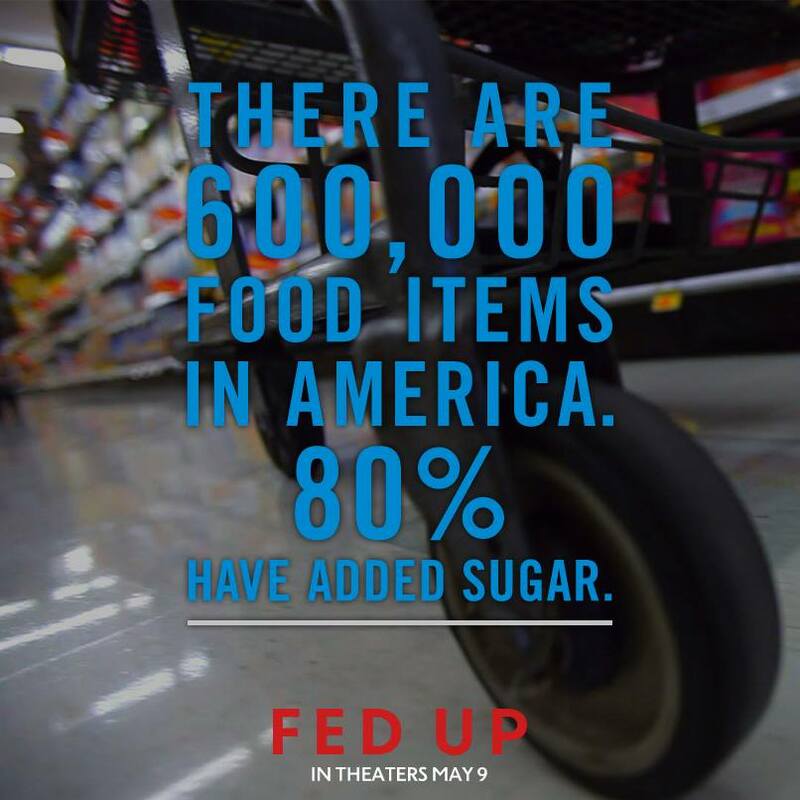 I just watched Fed Up, an important, helpful, honest documentary about US obesity, especially in kids. If you have Netflix, you can stream it right now. This very moment. If you aren’t in such a hurry, no worries. I’m totally psyched about it. The best thing about this movie is that it points out how our weight gain is not our fault. And it explains why. I remember in the mid 2000’s doing what I thought was right: researching, paying attention and acting on what I learned in regards to food. I wasn’t fad dieting; I was making lifestyle changes. When I learned, later in the decade, that I had been misguided and had wasted years and money on unhealthy foods, I was very angry. Angry at companies for lying to me, at the government for guiding me with unhealthy guidelines that they said were healthy, and angry at myself for not being smart enough to notice. At the time I learned this, I was going to a nutritionist who told me I could have raw, organic honey as one of my sugar sources. “Oh, wonderful!” I said. “I already eat that!” The nurse asked, “What do you eat it with?” I said, “…a spoon.” I told her that I had seen this man speak on Ellen and I was aiming to have 20 grams of sugar a day. But I would be fine with myself if I went way over, because even 45 grams was way less than the 285 grams Dr. Dyer was talking about. The nurse gave me a new goal. 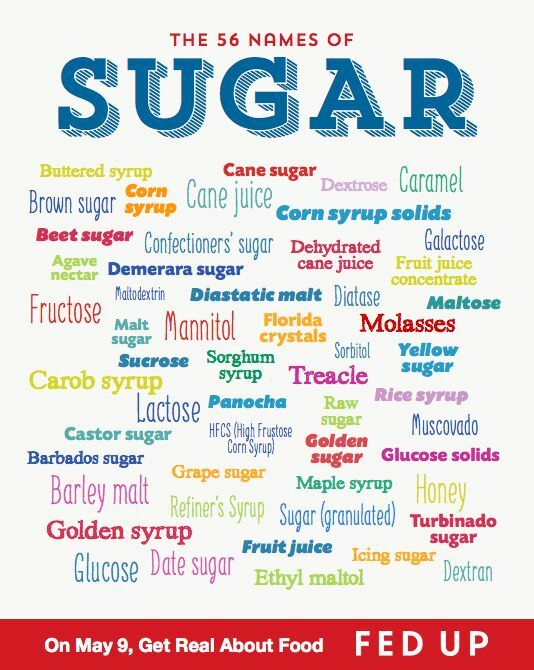 Instead of telling myself I can have 20 grams of sugar a day, and then standing over the honey jar with a spoon and crazy eyes, just tell myself “I can have less sugar. Just less.” It’s years later and I don’t even buy honey anymore. Now that I look back, I think it may have been so difficult to quit my sugar habit because having a little bit had lead me to wanting more. Brain scans in the movie reveal that sugar is as addictive as cocaine. Rats will choose sugar over cocaine. This makes me feel better. Not for those dear rats, poor things. Sugar Crack Rats. Me and those rats don’t stand a chance; sugar will kick our asses. But it seems now that I don’t buy sugar, I’m not tempted. There is no sugar in the house. And over the years, my cravings finally settled down. I think my transition, though, was unfair in a horrible and lucky way. I had spinal and foot injuries that resulted in my isolation, plus poordom, plus not having a car during the years that I was hurt, plus not having a TV for seven years, which all means I’m insane. Also those things meant that I really didn’t have to use will power while I was learning about nutrition. If there was no sugar in the house, I couldn’t drive to get some, or walk there, and if I did, I didn’t have money to buy it, and I didn’t totally care because I didn’t have commercials to *remind me that I love Reese’s peanut butter cups. *Reese’s peanut butter cups, I love you and will never forget that. Commercials just make me lustlove you. Instead of calling a sugar addiction the darling name of “sweet tooth,” it should be called a “sharp-fanged sugar monster.” Even that sounds sort of adorable and mildly… edible? I didn’t have a sweet tooth. I had a set of razor fangs that would leave the sanity of the world behind while devouring a whole pie in the middle of the night alone, or right from under your nose while you are talking to me at a party. Sugar is more important than whatever you are trying to say to me, or my own dignity, or my own sleep. But we give it such a cute name, “sweet tooth.” It’s much harder to tilt my head to one side and smile with chocolate smeared on my face and say, “Aw, sorry, I have a demon monster inside me that is addicted to sugar because I’m scared of my feelings.” It’s way longer to say, first of all. My sugar monster now only comes out about 25% of the time that it used to. Now I understand not only the connection between sugar and the reward center of the brain, but also the mind, body, spirit connection to my need for comfort food. If I’m distracting myself with a sugar high, I’m running from some feeling my mind thinks is too scary to let me see. If my mind doesn’t know how to deal with it and can’t foresee the exact outcome and that it would be positive, it tells me to look at something sparkly, claps its hands and says, “Look over here! Isn’t this shiny?! OOO- Let’s eat a pizza.” I still fall for it sometimes. Even though I’ve since learned that the crust breaks down in my body as pure sugar, so it’s not just a cheese fix, it’s a sweet fix too! Sugar should be in the CIA. It’s very sneaky. I’m proud of Fed Up for being realistic with Americans by truthfully sharing that advertising leads us towards sugar, but that we are expected to act as though advertising doesn’t affect us and take care of ourselves through sheer will power. The advertising clearly affects us and that’s why companies invest in it. And will power against something so addictive, even without the advertising, would obviously be difficult. On top of all that, most of the advertising presents many sugar-filled foods as healthy or diet, fat-free or sugar-free so most of the time we don’t even know to use will power against those foods. Usually we’re told to use our will power for them. When the film teaches the psychological science behind how we respond to advertising, sugar, and sugar advertising, it lets people feel sane for being confused about why they can’t lose weight. Not only are unhealthy people fighting an uphill battle, they are usually left in the cold feeling like it’s their fault. And when I feel alone and confused, I eat more. One of my favorite fact nuggets in the film was that when kids were given a snack to eat while they watched a tv show with food commercials vs. the same tv show with non-food commercials, they ate 45% more snack food. I got hungry just when I wrote the word nuggets. 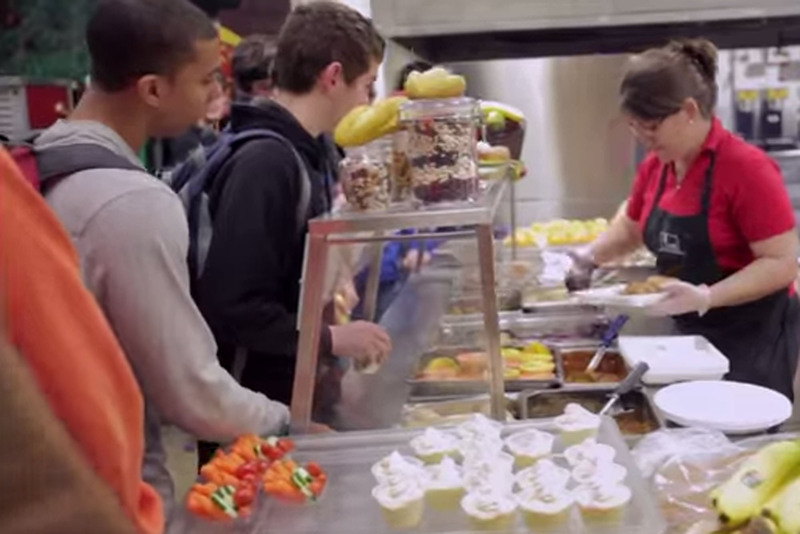 I also learned in the movie how much fast food is now offered in America’s schools. Pairing that with how humans are wired to behave with certain food, brings to light that leaving our children alone with unhealthy foods and their own will power is truly neglectful. It seems easy to blame the parents and say they just have to make lunches for their kids. But as long as there are unhealthy options at school, the battle will be lost. I usually brought a lunch to school, but I figured out how to get the good tasting stuff. Trade things or bring a bit of money when I could to buy something. If it’s there, I want it. Most adults I know are this way. And it’s not because they don’t know better. It’s because humans are designed to look for fat, salt, and sugar because those things used to be scarce. If the office has homemade cookies out for free, and then a birthday party with cake, and then someone brings in chocolates, we usually have a hard time not eating all of those things. Some people don’t like to waste food, some people don’t like to bring the mood down by saying no, some people want to fit in, some people want to be nice to the person who took the time to make cookies, some people are sleepy and need a pick-me-up, some people want to make out with their coworker but they can’t so some sugar is a close second, some people want to punch their boss in the face and going to the break room, they’ll eat whatever is there just to have a moment away. Some people just freaking love the way it all tastes. There are a million reasons why we make choices we know are bad for us. So expecting kids to act more responsibly in the lunch line than we do as adults is not kind or rational. The film also brings up that the government subsidizes ingredients that cause obesity. Which I’d like to take a step further by saying that our tax dollars are really those subsidies, meaning we are really, unwillingly and unknowingly, paying for our own problem. The film also shows that not all fat stores itself on the outside of the body. People eating unhealthy diets can be thin and still be a larger percentage of fat inside that will cause the same chronic diseases as someone who looks obese. In the same way that what matters is on the inside of us, Fed Up shows that it goes for food too. 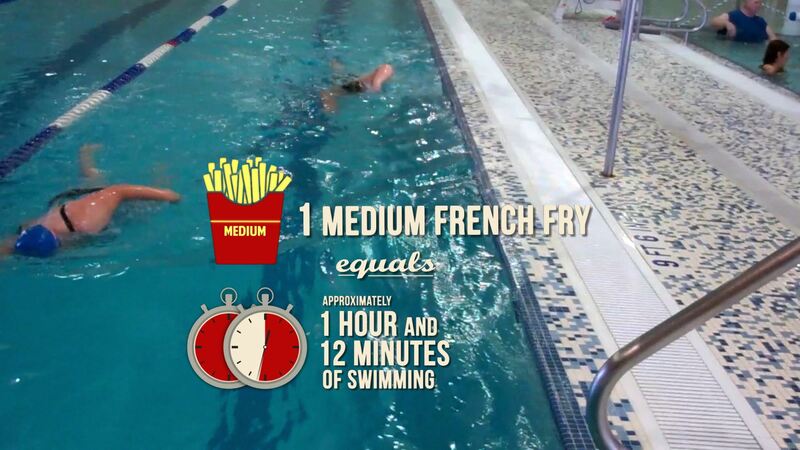 Calories have been taught to us as math, and that they are equal. If the amount of calories going into your body equal the amount of calories going out, all should be well. At least that is what is usually said. But it is what is on the inside of a calorie that matters. 100 calories of broccoli don’t break down in our bodies the same way 100 calories of brownies do. I’ve only gone on diets twice in my whole life. Once, for a week in high school, I tried (what I now see as my version of) the Adkins Diet and only ate microwaved cheese and eggs and meat. I had such low energy from this that I couldn’t walk through the halls from class to class. I remember being surprised by this at the time because I thought I was within their guidelines. Why would I think having just microwaved cheese as a third of my diet would be ok? The other time I dieted was for a random month in college when I learned about calories in vs. calories out. I realized I didn’t have enough calories for my short frame to eat dessert. So I used my dessert-loving brain and figured out a way around it: only eat dessert. At one point, I was just eating whole bags of Reese’s peanut butter cups for dinner. I got bronchitis when my friends all got it and theirs went away with a Z-pak and mine stuck around for months. Because of the wheezing and deep, deep coughing lasting so long, my body got used to the sharp muscle constricting and, after a while, I started projectile vomiting. Which my roommate Hoosty and I thought was hilarious. So we’d laugh, which would get the muscles going again, which in turn would make me wheeze and cough, and projectile vomit. The cycle continued. College was a special time. That was how I learned all calories are not created equally. You may already know this. If not, instead of trying your own dessert experiment/ torture, you could read this that is one of my favorite articles: Why Calories Don’t Matter by Dr. Mark Hyman, MD. Or you could watch Fed Up. Or it’s just really easy to understand and you probably already got it before I told those ridiculous dieting stories. When we’re told that our health comes down to calories eaten matching calories burned but so many other relevant parts of the equation are left out, our health is ignored. That only works if you are eating healthy calories and if you know what “healthy” means. And if you have time to burn an unlimited amount of calories. 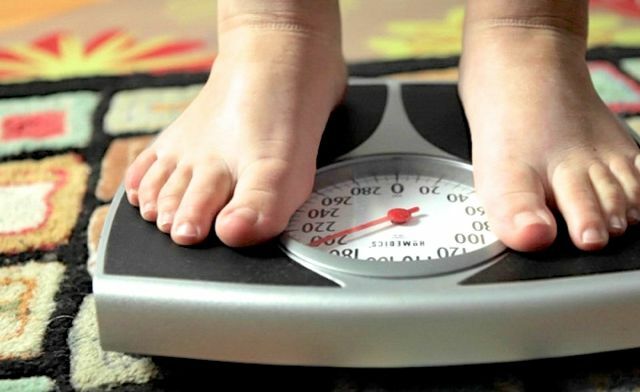 Obesity is a nation-wide, chronic problem that should be met with compassion and education. The kids in this film break my heart. They are trying so hard, but no one is telling them where to put their energy that will be effective. Their parents are lovingly trying to but no one told their parents how to be healthy either. Hopefully they all watched their own movie though. They are a part of something that will bless so many people, and I hope this is a case where the blessings out do indeed equal the blessings coming back to them. Totally in agreement. So exactly WHY! are they now manufacturing a large number of vitamin products for children AND ADULTS as GUMMIES?! You can’t take a vitamin pill, you have to enjoy a gummy bear sugar (&/or maltodextrin) gummy bear. But wait, THERE’S MORE! Antioxidant CHOCOLATE! Hence, now everything comes in chocolate flavor and we are supposed to eat chocolate daily. Chocolate does not contain sugar, but it’s marketed as chocolate bars, flavoring cereal with chocolate, energy bars (don’t get me started on these UNNECESSARY foods gone wild!). I eat my morning blueberries with cacao nibs and chocolate balsamic vinegar. And I allow myself all the fruit I want, replacing sugar cravings (ok, most of them). I’ve got a bad sweet tooth, I’ll admit, but I’m high risk for diabetes, dairy allergy, gluten intolerant, severe maltodextrin intolerance. I don’t drink fruit juice unless I squeeze it myself (I am a LS V8 addict). Thanks for your rant. It’s a valid one! Hi Sue! Thanks for your rant, too 🙂 So happy you are avoiding processed sugar and allowing some natural sugar. And that you know your body so well. And that you are passionate about health! Thank you again for sharing. So true! Also, chocolate balsamic vinegar sounds amazing. Now my mouth is watering! Ha! 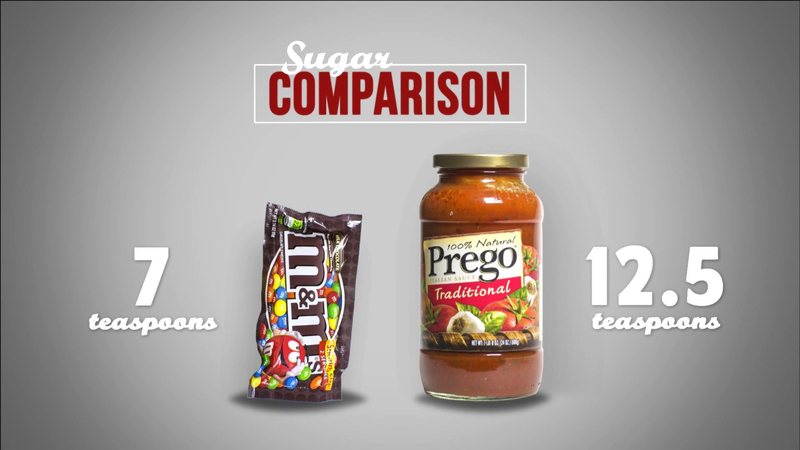 That’s why sugar is so easy to market! We fall right for it. Except it sounds like your vinegar is a real kind and is good for you. Where do you get it? I get my flavored balsamic vinegars & oils from F. Oliver in Upstate NY, also online. Sweet! (no pun intended) Thanks Sue!